The AIFF team is pleased to announce as on 1st of Dec 2018 - 4th March 2019 we will be accepting short (up to 30 minutes long) and feature (50 minutes+ long) documentary films for this year's edition of AIFF. Contact us in case of any assistance, comment or inquiry. Only films completed after January 2016 are eligible to apply. AIFF accepts shorts (under 30min) and Feature length films (over 50min). Genres shown at AIFF include Documentary, animation, experimental and narrative. Films made in languages other than English should have subtitles in English. No film selected may be withdrawn from the festival program after its publication. AIFF no longer accepts DVD submissions. All films must be submitted digitally. 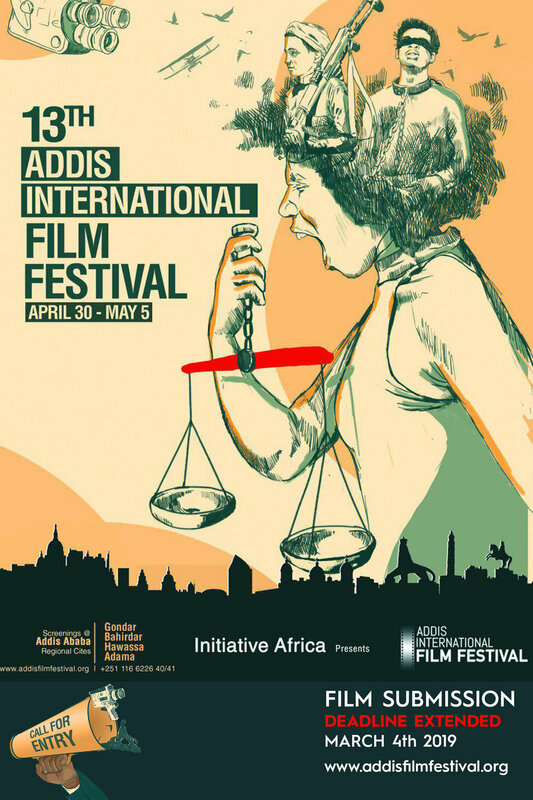 For Ethiopian Film Makers ONLY you can submit via the online This submission form . AIFF’s film selection committee will select documentaries that will be screened at the 13th AIFF. Once a film is selected, the festival will notify the filmmakers of the selection no later than March 15, 2019. Filmmakers will also receive AIFF logo in digital form for publicity purposes. A jury made up of filmmakers, producers and production company managers will choose winners of AIFF Young Filmmaker of the Year Award and AIFF Woman Filmmaker of the Year Award from films selected by AIFF film selection committee. All decisions made by AIFF film selection committee and the AIFF Jury are final. Submission of films to the AIFF indicates acceptance of the Festival rules, regulations and submission guidelines. Once a film has been selected, it cannot be withdrawn from the festival program during the event. Get the latest updates on accepted films, venue, schedule and featured directors.